One of the things about doing a Daniel Fast (essentially vegan eating) is that it makes you eat healthy real quick. Well, on Wednesday, all I wanted was to slap some peanut butter on a piece of bread and call it lunch, but… well, that’s not Daniel Fasty, so I had to come up with something else. My husband’s grandmother, Nanny, makes this tomato and avocado salad a lot that is delish and she puts something on it that I thought was balsamic vinegar, but after making my (which was also delish) that’s not it. So, once I talk to her and figure it out I’ll add that on here as well! I know this is easy and half of the world has probably already made this before, but I thought I’d throw it on here because it might be a lunch option you had forgotten about. 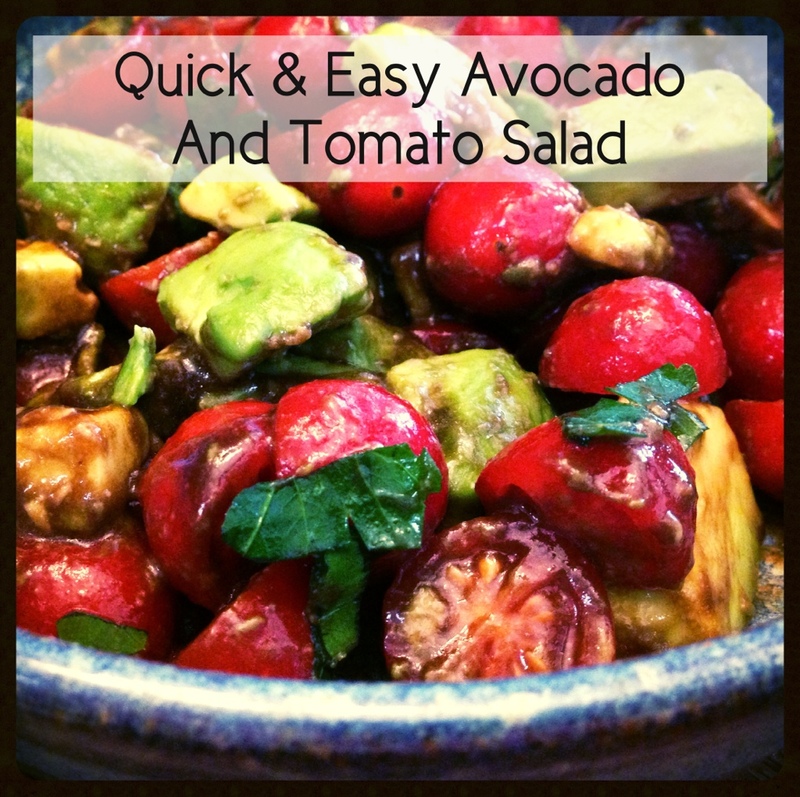 Cut up the avocado into chunks and cut the salad tomatoes in half and sprinkle in the parsley. Pour the olive oil and balsamic vinegar over the mix and stir the salad. Eat! Really great with iced tea! Reblogged this on Health and Wellness 2020. This salad looks delicious! 🙂 I love the ingredients and the simplicity of it! Thanks for sharing! And thank you for stopping by my blog and deciding to follow me on my journey! I consider it an honor, and I’m glad to have you join me! Hope you have a wonderful week-end! It was totally delish! 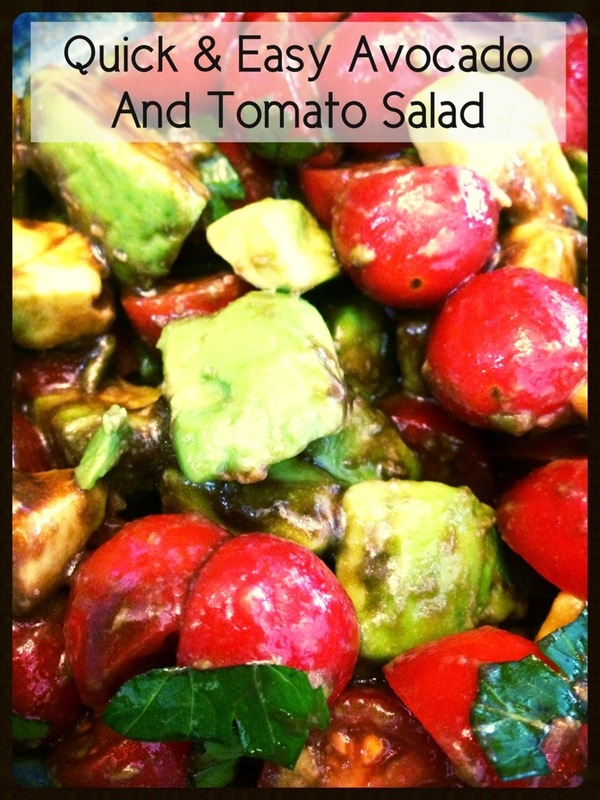 Way better than my typical lame-o lunch salad… I think I’m going to make this once a week!